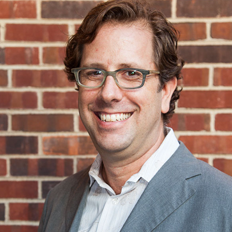 Daniel A. Barber is an Assistant Professor of Architecture at Penn Design. He is an architectural historian with a research interest in the relationship between the design fields and the emergence of global environmental culture across the 20th century. His current research looks at the role of architectural technologies in the infrastructural and territorial transformations of the immediate post-World War II period in the United States. His current book project, A House in the Sun: Modern Architecture and Solar Energy in the Cold War, documents the brief but dynamic interest in solar houses in the 1940s and 50s; he has also published recently on connections between architectural design methods and climate science. He approaches research and teaching from an interdisciplinary perspective, integrating narratives and methods from histories of technology, science, politics, economics, and environmentalism. Barber has presented papers and chaired panels in numerous disciplinary and interdisciplinary contexts, and has lectured internationally. Barber’s essays have appeared in numerous periodicals, including Grey Room, The Journal of Architecture, Design Philosophy Papers, thresholds, Delft Architectural Studies on Housing (DASH), Pidgin, The Nordic Journal of Architecture, and forthcoming from Technology and Culture. An essay on the image economy of energy scarcity was recently published at places.designobserver.com. Barber has chapters in the edited volumes Architecture, Disciplinarity and the Arts (A&S Books, 2009), Critical Architecture (Taylor and Francis, 2007) and The Ethics of Dust (Verlag der Buchhandlung Walther König, 2009), Architecture and Energy: Performance and Style (Routledge, 2013), A Second Modernism: MIT, Architecture, and the ‘Techno-Social’ Moment (MIT Press, 2013), and forthcoming in Fueling Culture: Energy, History, Politics (University of Minnesota Press, 2014). A number of these essays are available in PDF at the bottom of this page.